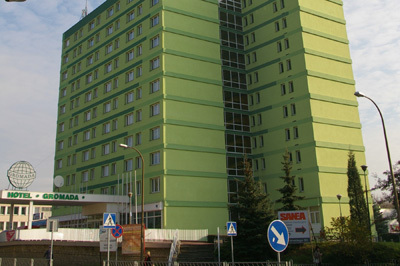 The Hotel GROMADA*** w Ostrowcu ĹšwiÄ™tokrzyskim is located at the feet of the Swientokrzyskie Mountains. The picturesque surroundings gives you a chance to organize excursions. You can visit Monastery in ĹšwiÄ™ty KrzyĹĽ, remains of 17th centruy castle KrzyĹĽtopĂłr in Ujazd, Krzemionki Opatowskie, Sandomierz as well as Jurasic Park in Baltowo. The hotel is an ideal place for both tourists, families and groups. 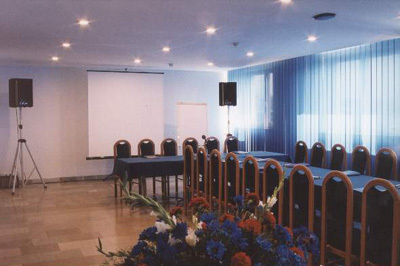 The hotel features 136 comfortable rooms as well as conference facilities. 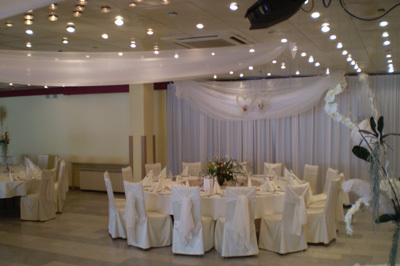 There are 4 conference and banquet rooms ranging from intimate, to a large one with a terrace that can accommodate together up to 540 people and professional technical support and catering. 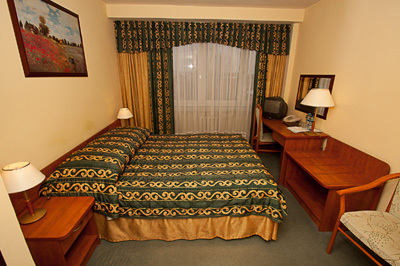 The hotel offers 136 comfortable double or single rooms or apartments. The hotel has a room for disabled people. The rooms have bathroom, satellite TV, radio , telephone and Internet. You will enjoy a delicious meal in a restaurant with 180 seats. You can spend your free time in the bar Aperitif. 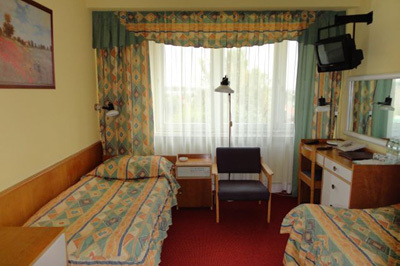 The hotel also offers room service therefore you can have a meal in the comfort of your room. 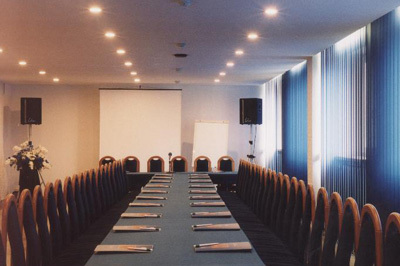 The hotel offers 4 meeting rooms of various sizes, that can accommodate up to 540 people together. The rooms are equipped with professional technical devices. 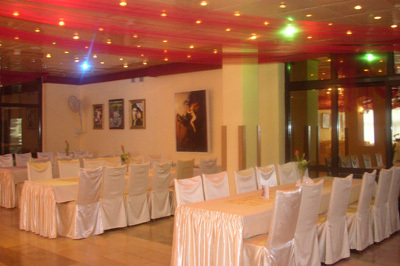 The hotel organizes vaious events both private and corporate ones. The hotel accepts credit cards: American Express, Eurocard, Hermes, MasterCard, JCB, Polcard, VISA, Maestro. The hotel is located in the city centre, 0,5 km away from the Main Railway Station and 400 metres away from the Main Bus Station and 160 km away from the airport. You can reach the hotel by using buses no. 6 and no. 0 from the Main Railway Station.Â From OkÄ™cie airport, it is necessary to take a taxi which will get you to the hotel within 2,5 hours or the train or a bus. You will travel about 3,5 hours - taking the route Warszawa-Radom-Tarnobrzeg-RzeszĂłw.